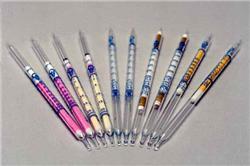 Gastec 113L Isopropyl Alcohol Detector Tubes. Detection Range: 25-800 ppm. 10 measuring tubes per box.